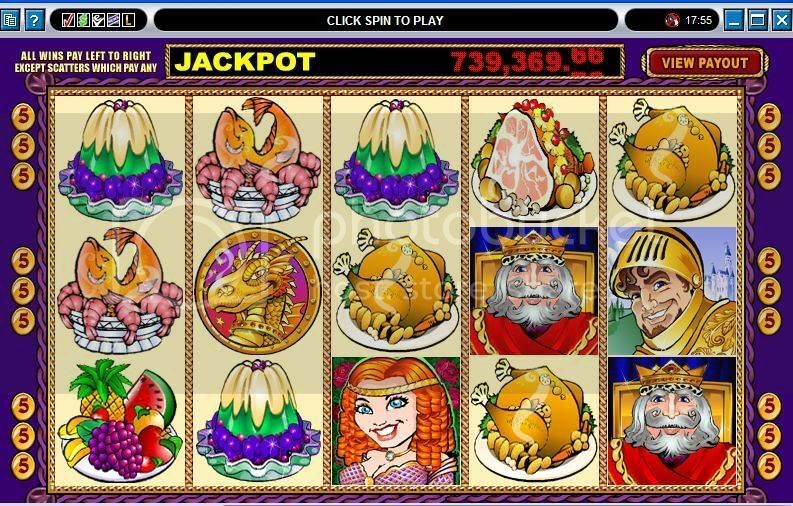 This progressive video slot has a medievil theme, filled with kings, beautiful queens, brave knights in shining armor, coming to the rescue of a distressed princess and a dragon protecting the Kings' Treasure in the Bonus Round. This Progressive slot features 9 paylines 5 reels and a chance to win a whole lotta money. This progressive starts at $100,000.00 with an average of $500,000 to win. 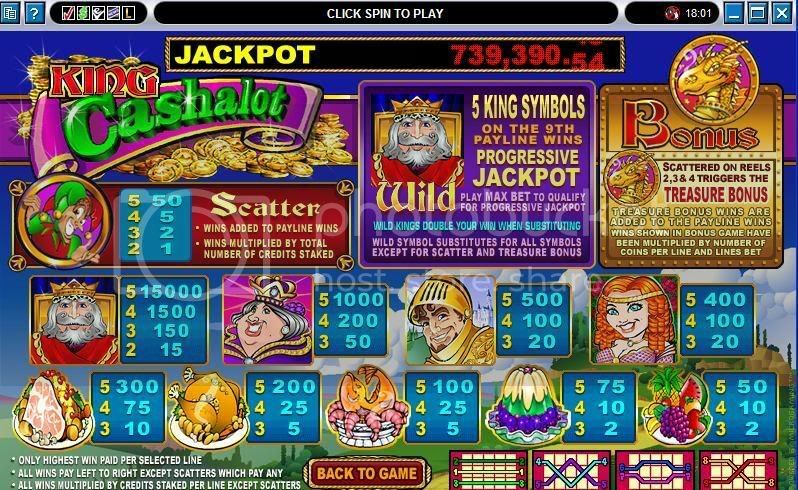 The highest this slot hit was at $1,218,298.00 How awesome would that be? All you have to do is hit five Kings on the 9th payline with a maximum bet and you could be on your way to a never ending shopping spree!!!! The Bonus Round!!!! You must get 2,3, or 4 dragons to enter the bonus round. 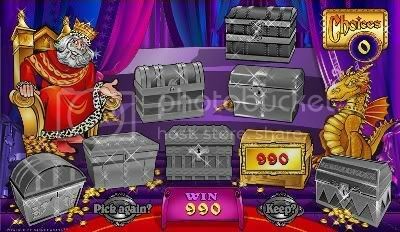 The bonus round consists of the King surrounded by treasure chests and protected by the dragon. You must choose a chest. Once you do, you are awarded with coins but the choice is upto you if you want to Keep It or Throw it away!!! You only get 3 tries. The last choice is a keeper no matter what!! !